Cherry Estates purchased a few of these new John Deere roller mowers for our landscape department. 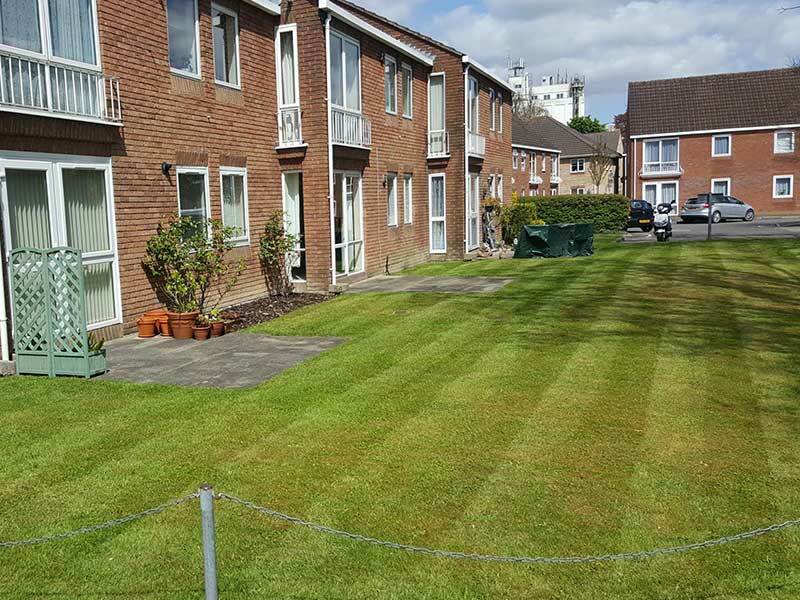 The guys have given us very enthusiastic feedback saying they’re ticking all the right boxes with a great cut leaving lovely stripes, picking up damp grass well and completing the job very quickly – possibly meaning fewer man-hours, which is always good for the customer. As the mowers cost as much as a small car we are very happy with the investment! We broke the mowers in at this site in Andover. With the new John Deere roller mowers, the landscaping is made much easier and we can achieve those perfectly straight lines during the summer months and well into the autumn. 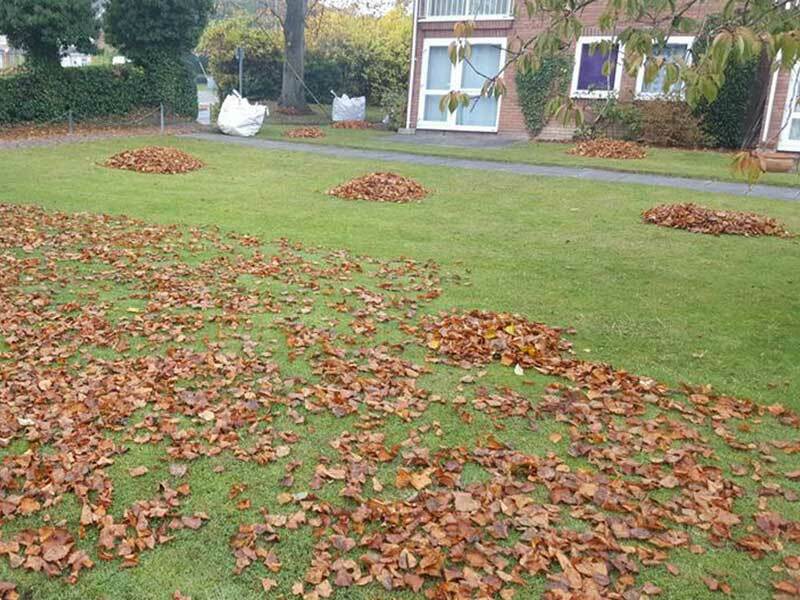 And during the winter months when those dreaded leaves fall our landscapers work extremely hard to bag the leaves and remove them from the site. 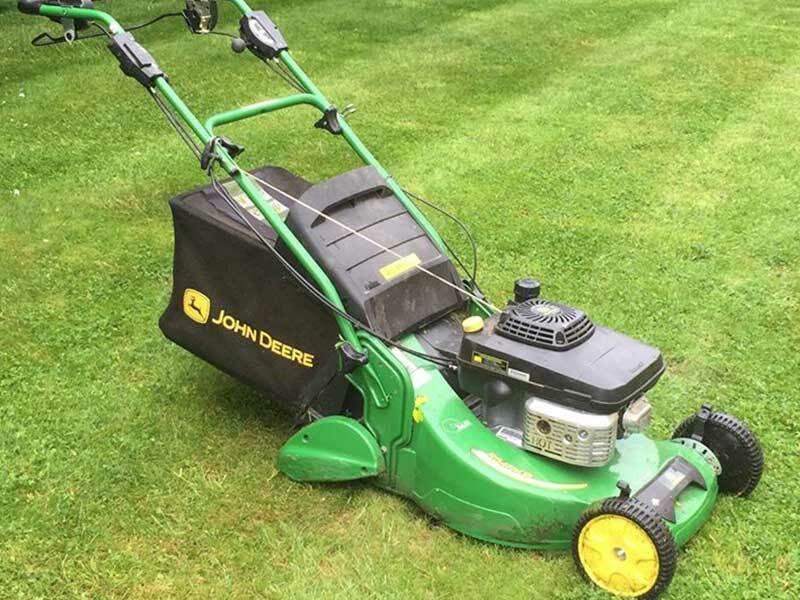 In March we use our John Deere petrol scarifier to de-thatch the lawns, which are then given a nitrogen treatment, giving them a boost prior to the spring sunshine. 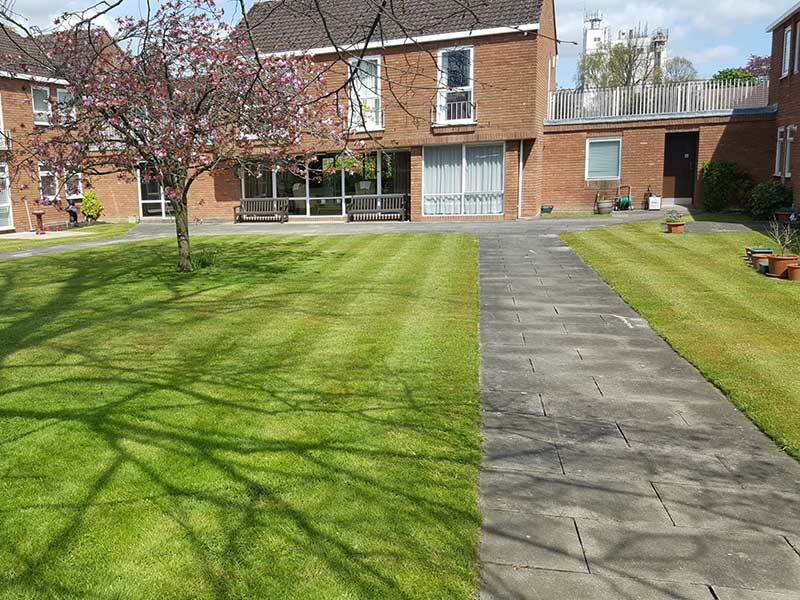 Whilst the Landscape gardeners visit 20 visits per annum, the cleaners also visit this site on a weekly basis cleaning the communal areas of 4 blocks of flats. 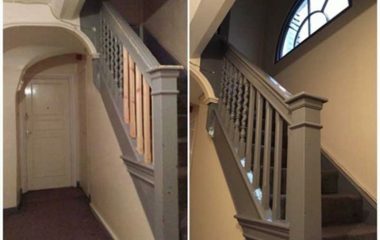 The cleaners change the communal light bulbs when necessary and also check the bin stores regularly. 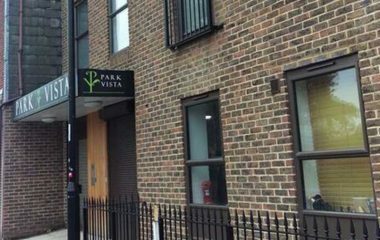 The residents have a communal living room in the largest block of flats which has a small kitchen area where the cleaners tidy and clean every week. 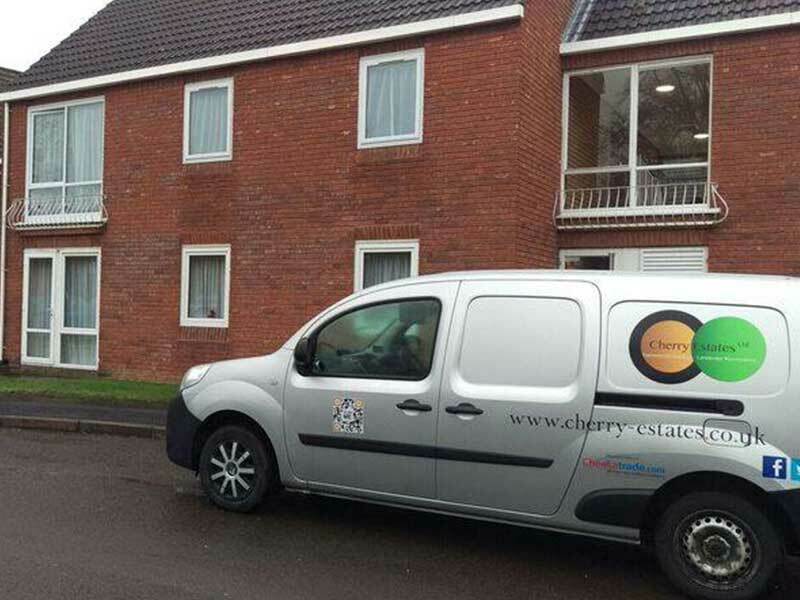 The residents are very pleased to see both teams on site each time which makes it even more pleasant to visit here in Andover.